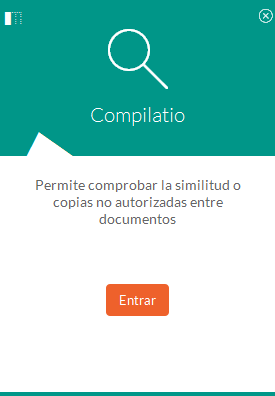 Magister-Compilatio is a software tool that allows users to detect, control and prevent plagiarism. UACloud will make it available for teachers and admin staff. Adopting and submitting other author's theories and hypotheses as one's own ideas is not a new thing. However the technologies associated with the Information Society greatly help us solve this ethically reprehensible and academically incorrect practice. This phenomenon seems so widespread among students that some authors have already called them the "Copy-and-Paste Generation". The UA provides its academic and administration staff this anti-plagiarism software to prevent and detect it. Cyber-plagiarism and anti-plagiarism software, Blog on technology (Tecnologia per a tu -SI-ITE).